These are one of my all-time favorite Christmas cookies, and oh man, are they deliciously rich! 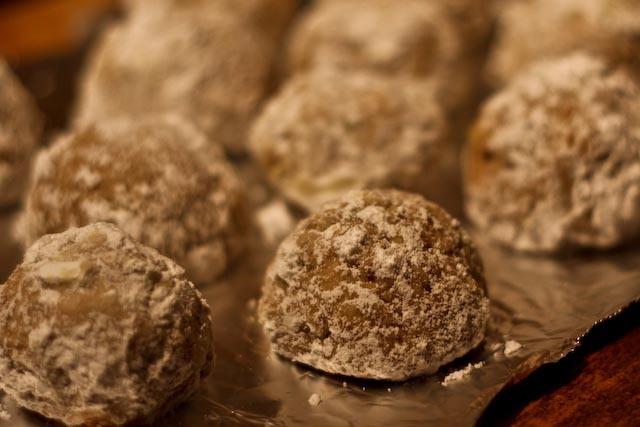 I’ve seen several different names for these cookies, but my family has always called them Mexican Wedding Cookies, so that’s what I’m sticking with. I had never actually made these before myself (my mom always made them), and I discovered that they are incredibly easy to make – only took me about 20 minutes! 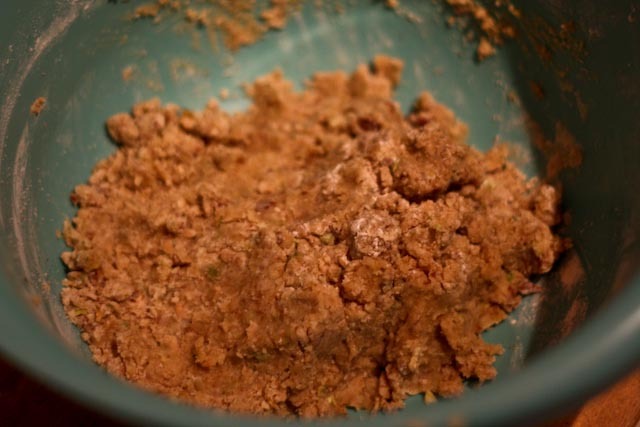 Just a few simple ingredients, and voila – cookie dough! I let the cookies cool just a bit after taking them out of the oven (so they’re not too hot to handle! 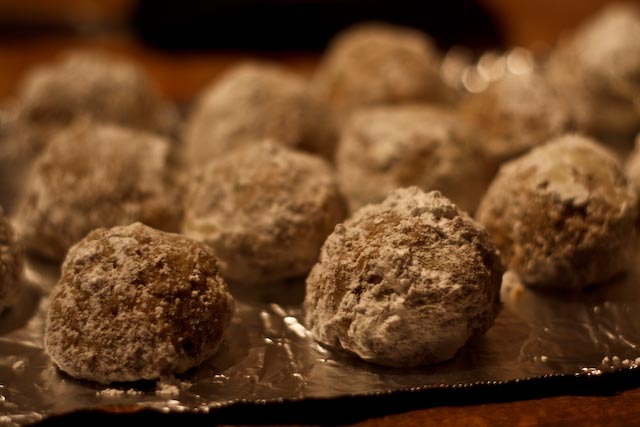 ), and then quickly roll them in powdered sugar. This helps the sugar stick to the cookies. This recipe makes just about 15-20 cookies, but it can easily be doubled to make more. Preheat oven to 350°F. 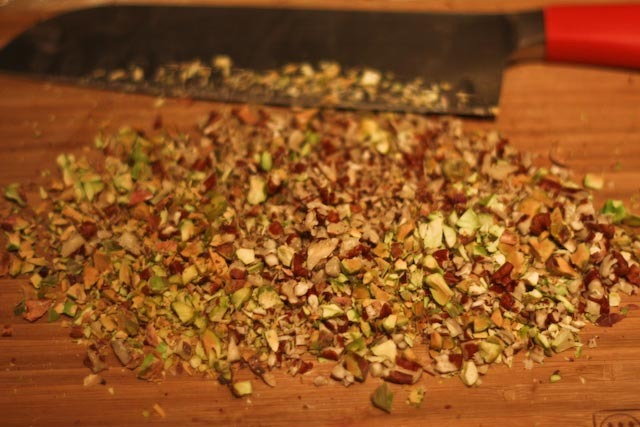 Combine the flour, brown sugar, butter, vanilla, pecans, and pistachios in a bowl. 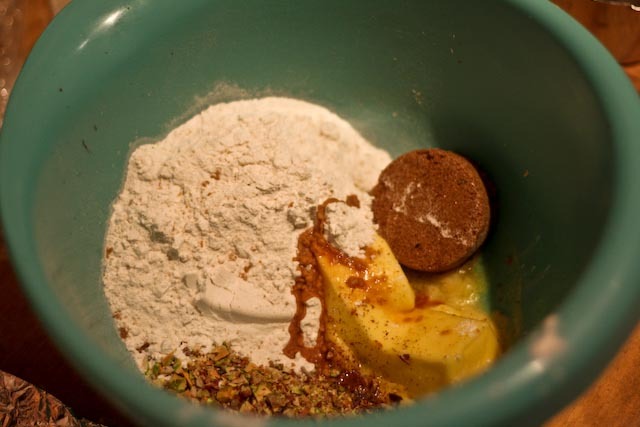 Using a wooden spoon mix the ingredients until they are well combined (this may require mixing the dough with your hands as well). 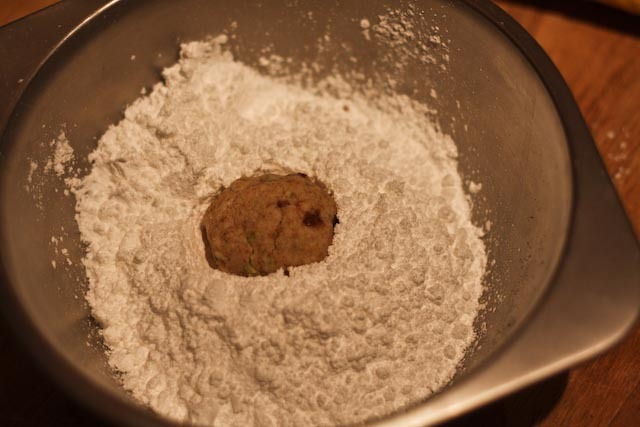 With your hands, roll the dough into about 15-20 walnut-sized balls. 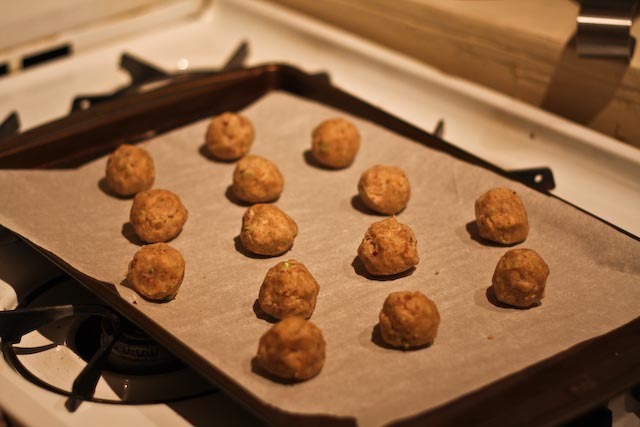 Arrange the cookies on a prepared cookie sheet (greased or covered with parchment paper). Bake for about 12 minutes or until the cookies are a slight golden brown. 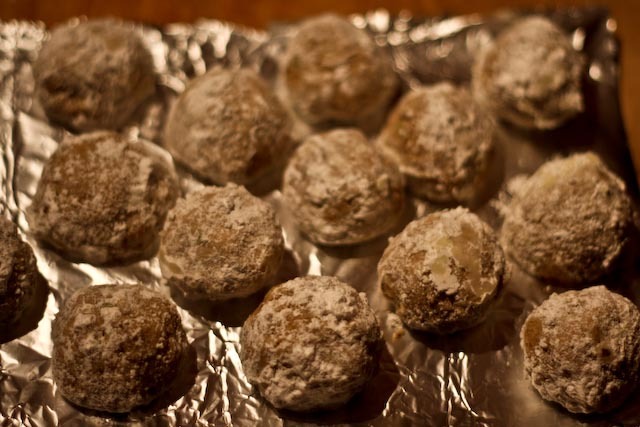 Remove from the oven and let them cool for a few minutes and roll in powdered sugar to coat lightly. Handle these cookies carefully, as they are quite fragile. Cookies can be stored in an airtight container for up to 5 days or frozen for up to one month. Nutrition Information: Once again, I’ll spare you the details on these cookies – just enjoy! Your pictures are wonderfully tantalizIng…all I need to go with this post is a tall cold glass of milk.